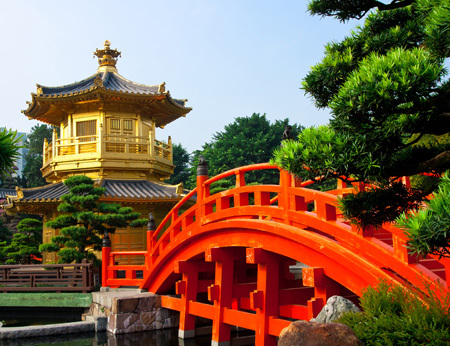 Flights to Beijing via Hong Kong, onwards to Shanghai with Cathay Pacific from Heathrow, accommodation throughout, return transfers and prepayable taxes. Sunday to Wednesday only, surcharge of £40 per person applies for travel ex UK on Sunday and applies for travel inbound on Fri, Sat & Sun. Located in the burgeoning Xihongmen area of southwest Beijing, Hyatt Place Beijing Daxing is an one-hour drive to Beijing Capital International Airport, 25-minute drive to Beijing South Railway Station and short walk to Xihongmen subway station. Grand Emperor Hotel, which is under Emperor Hotels Group, takes the art of luxury accommodation beyond your expectations. We attend to every single detail from interior decor to 24 hours personalized services. Close to superb shopping and entertainment, the Harbour Plaza Metropolis is situated in the heart of Kowloon, overlooking Victoria harbour. 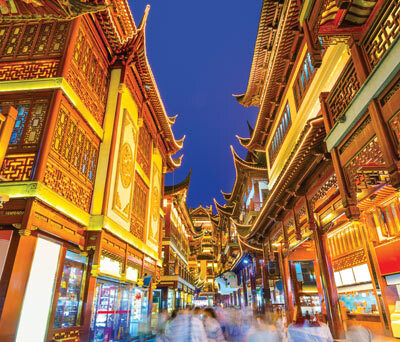 China's capital city is a vibrant jumble of neighbourhoods and districts that brim with an abundance of history, culture, elaborate architecture and magnificent sights. 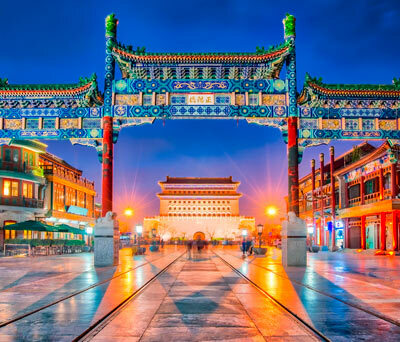 Beijing is also a superb example of the great transformation China has undergone in recent years and is an excellent place to begin your explorations of this fascinating country. Beijing's imperial relics include the self-contained enclave of the Forbidden City, the largest and best preserved ancient palace complex in the world. Covering 178 acres with 90 palaces and courtyards, 980 buildings and 8,704 rooms, it is vast and to do it justice you should plan to spend the best part of a day here. Immediately south of the Forbidden City is Tiananmen Square, the world's largest public square, flanked by colossal Communist buildings and monuments. Further south is the Temple of Heaven, a tranquil oasis of peace considered the most holy of Beijing's imperial temples and which became a UNESCO World Heritage site in 1998. Further out in the north-western suburbs is the Summer Palace, one of the loveliest spots in Beijing, there's so much to see and enjoy in the gardens, buildings and waterways. We also recommend visiting the UNESCO World Heritage listed Ming Tombs, which are located about 30 miles from Beijing at the foot of Tianshou Mountain. This cluster of mausoleums are the final resting place of 13 Ming Dynasty emperors, although only three of the 13 tombs are open to the public. While for many it is the ancient sites in Beijing that are the real attraction it's worth allowing time for some newer, but equally impressive architectural sights from when Beijing hosted the Olympic Games. Two particularly iconic venues were the National Stadium (Bird's Nest) and the National Aquatics Centre (Water Cube), both of which have become major landmarks in the capital. Of course, no visit to Beijing is complete without a trip to the legendary Great Wall, which starts east of Beijing before snaking its way west for thousands of miles. Most popular sections include Badaling, Mutianyu and Juyongguan, which are among the best preserved, are not too steep and are equipped with handrails making climbing relatively easier. Perhaps the true heartbeat of this unique city can be found in the Hutongs, a maze of tree-lined alleyways and traditional courtyard houses. Travel by rickshaw or on foot and get a real sense of the centuries old culture of everyday people in Beijing. Further insight can be gained in the traditional shopping districts, which include Wangfujing Street and Qianmen Street, or visit outdoor markets of Panjiayuan Collection Street and Xiushui Street. Fashionable shopping areas include Xidan Commercial Street and Dongdan Commercial Street where large-scale luxurious shopping plazas can be found. Beijing nightlife is plentiful and varied, with traditional opera, acrobatics and martial arts to modern pubs and clubs. As with any major city, there are restaurants and cafes catering to every taste and pocket. The embassy and nightlife area Sanlitun showcases global cuisine at competitive prices while the city's speciality dish, Peking duck, can be found at many Beijing restaurants. 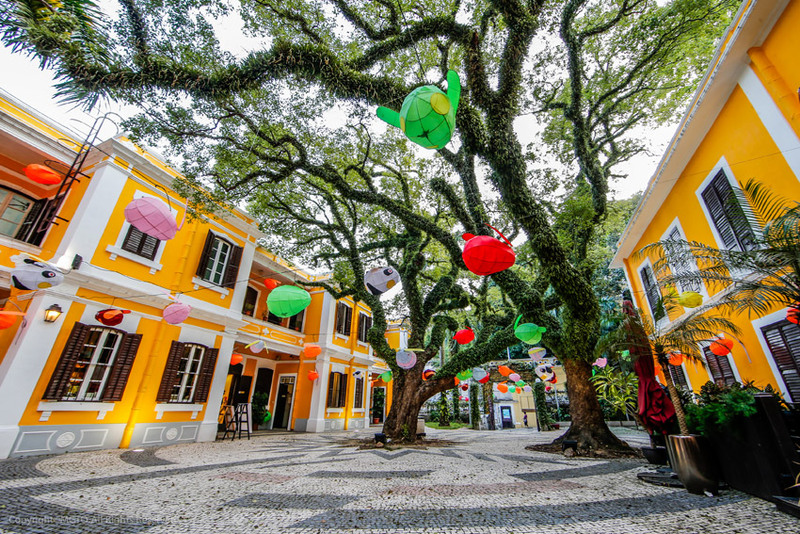 Nowhere highlights Macao’s east-meets-west character more vividly than its UNESCO-listed Historic Centre, where the maze-like streets host 30 handsome period buildings and squares, some unmistakably European, others proudly Chinese. Key attractions here include Senado Square, the ruins of 17th century St Paul’s Church and the atmospheric A-Ma Temple. Also, not to be missed is the enchanting former fishing hamlet of Taipa Village. Here you can while away the hours wandering through the cobbled alleys, feasting on tantalising cuisine and browsing the gift boutiques or lifestyle stores. 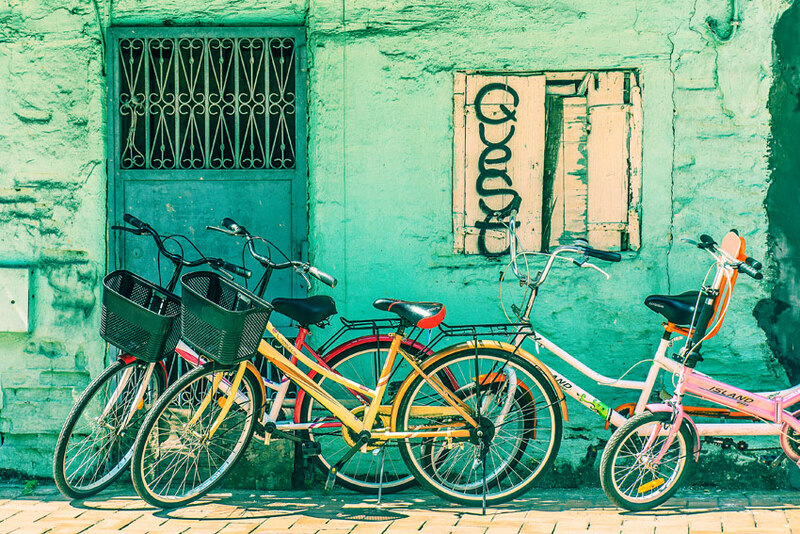 Further south at Coloane Village discover historic streets and plant-bedecked houses along with waterfront walks, pretty piazzas as well as two beaches and a golf course too. At the Macau Tower, which stretches high above the skyline, you’ll be bowled over by the far-reaching views of the city and surrounding area. Whilst there, those in search of an adrenalin kick will find four high-altitude challenges, including one of the world’s highest bungee jumps! At the Macao Giant Panda Pavilion enjoy the chance to see these incredible creatures up close, or for an insight to the city’s heritage, visit the superb Macao Museum. 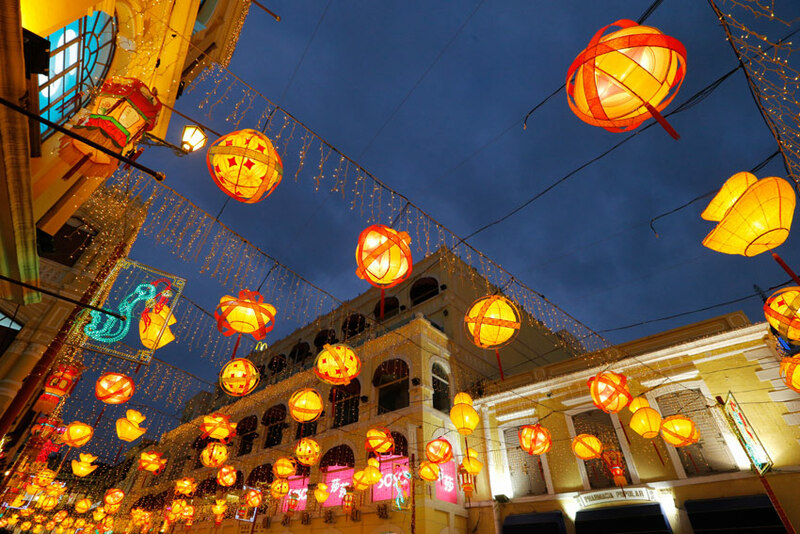 After dark, Macao’s entertainment scene roars into life, whatever the night of the week. Choose from spectacular shows such as the enthralling House of Dancing Water; a fantastic array of drinking venues from glamorous cocktail bars to local spots with live music or rooftop terraces where you can watch the sunset; stylish clubs with music for every taste and, for those that fancy a flutter, modern casinos to rival those in Vegas. With Macao’s unique history, it’s no surprise that this is the place to dine out on superb Chinese and Portuguese dishes, along with the local Macanese fusion cuisine. From fine dining in luxury hotels to traditional neighbourhood eateries, even the most dedicated foodie will be impressed. Let Premier Holidays help you discover why Macao is the ideal add-on to an Asian itinerary or trip to Australasia. A big city with overwhelming bright lights and bustling urban areas, Hong Kong is huge on entertainment, heritage, retail therapy and dining. The skyscrapers of modern Hong Kong sit cheek by jowl with old Chinese markets while sampans and junks bob around in the harbour. Full of unexpected sights of traditional culture mixed with twenty first century commercialism, the handover to China in 1997 has made little difference to the city and it is as exciting now as it ever was. Hong Kong's two main urban areas are Hong Kong Island and Kowloon, which are separated by the deep waters of Victoria Harbour. Outlying areas include Lantau Island and the historic ex-Portuguese colony of Macao. Hong Kong Island is regarded as the heart of the territory with glistening skyscrapers backed by green peaks that tower over districts dedicated to ancient Chinese medicine along with traces of the colonial era through English place names and double-decker trams. Kowloon offers an intoxicating mix of the very old and the strikingly new, teeming streets with tiny street stalls and smoky temples, only minutes away from upmarket hotels and fabulous boutiques. 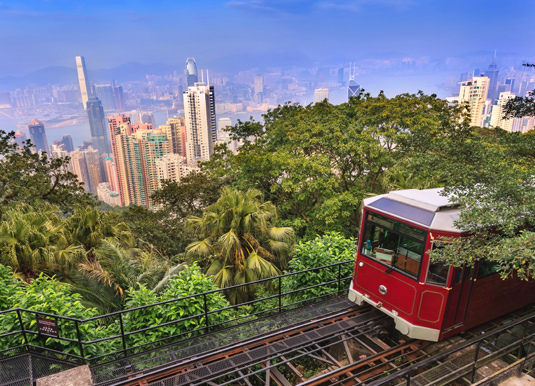 For sweeping views of Hong Kong's skyline take the eight minute gravity-defying funicular tram ride to Victoria Peak, the highest point on Hong Kong Island. Back at street level there's much to see including the chic shopping districts of Wanchai and Causeway Bay or the bargains of Stanley Market; the curio shops hidden amidst alleyways of the Western District or the picturesque beach of Repulse Bay and the floating restaurants of Aberdeen. For priceless views of the city jump aboard the Star Ferry for a bargain historic ride across Victoria Harbour to Kowloon, where the shopping opportunities appear endless. The ferry brings you to the district of Tsim Sha Tsui, a bazaar of shops, stalls, markets and malls while the neighbourhood of Mong Kok has seemingly endless shopping streets and the popular Ladies' Market. If time allows, exploration of the outlying islands is recommended. Lamma and Lantau are renowned for their seafood restaurants and provide a rural contrast to the hubbub that is downtown Hong Kong. Lantau is also the location of Hong Kong Disneyland. Getting around Hong Kong couldn't be easier. Along with the Star Ferry, the MTR (Mass Transit Railway) is quick, cheap and easy to use, and even runs under the harbour to connect Hong Kong Island and Kowloon. Buses, trams and taxis are all in plentiful supply, but do spend time simply walking around to savour the sights, sounds and smells of this unique destination. Culinary excitement is never far away on a Hong Kong holiday as it's thick with restaurants featuring food from each and every corner of the world. The prominent cooking style is Cantonese, with Dim Sum – a selection of little dumplings and dishes eaten with tea - the classic Cantonese way to start the day. The highest concentration of international cuisines can be found in Central, Soho, Wanchai and Tsim Sha Tsui.